Cedar Hills is neighbourhood park subdivision development planned for construction. 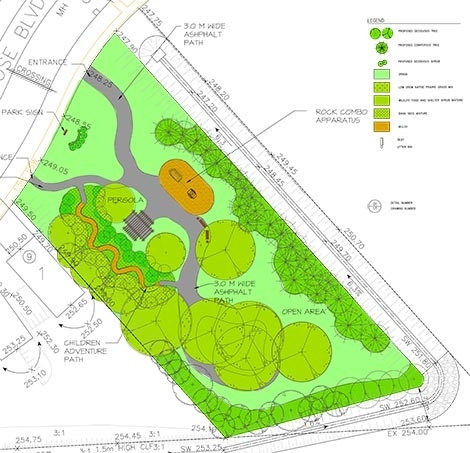 The park design focused on providing people living in the neighbourhood with an attractive, relaxing area with meandering paths, mixed tree and shrub planting. For children, the plans also include an adventure path and rock combo apparatus.